An uncompromising search for dynamic accuracy offers highly accurate processing and prolongs die life. The all-out dynamic balancer device completely eliminates vibration during high-speed movement. It features an excellent absorption of vibration to lower the noise. 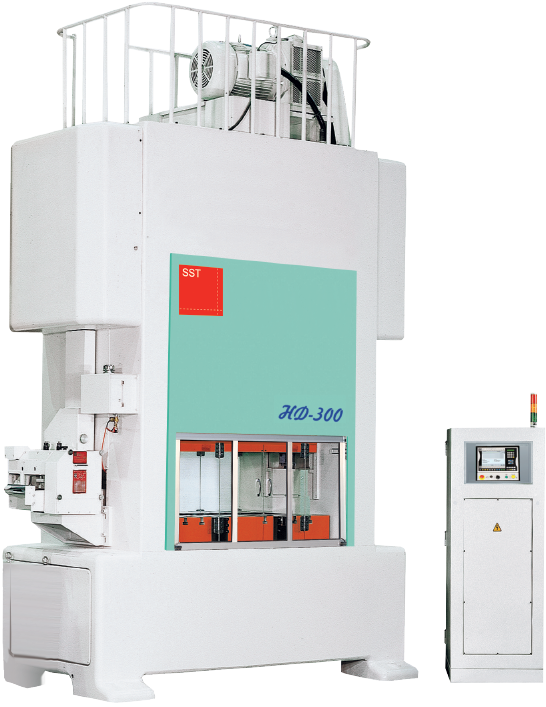 Model HD 30ton~125ton, equipped with 2 plunger guides on top of the slide and 4 post guides, offers high-accuracy and high-speed processing. 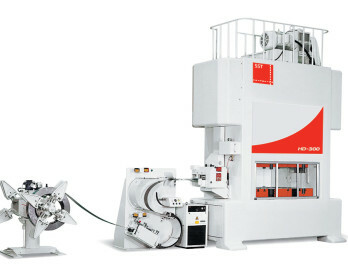 Model HD 200ton~300ton, equipped with 2 high-accuracy plunger guides and 8- side non- clearance slide guide rail with needle bearing, allows large eccentric load processing. 3 sets of massive frame resist deflection and reduce vibration. Hydraulic locking device of screw rods eliminates the clearance to keep reciprocating accuracy. Oil reservoir is inner of bed. Oil temperature is controlled stably and cooling system is separated from circulation to prevent from condensing water inwardly. Dual plungers isolate slide from angular front-to-back movement of connections and bear up more upward eccentric load during stamping. 2 bearings and 4 brass bushings are applied to get smaller clearance and resist wear throughout years. The height of slide quick lift is 70mm. 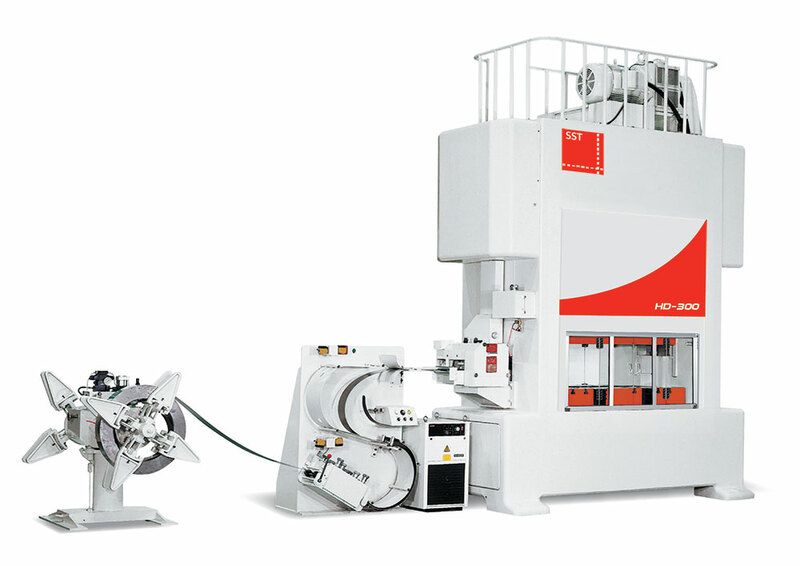 It helps users to solve the problem occurred on tooling quickly such as material sticking, tool jamming, scrap or punch changing. After trouble shooting, return slide to its original height quickly and the B.D.C is kept still without readjusting. Dynamically balancer reserves weight of upper die to eliminate the inertia produced by reciprocation. Hence, vibration can be reduced to an extreme low level.